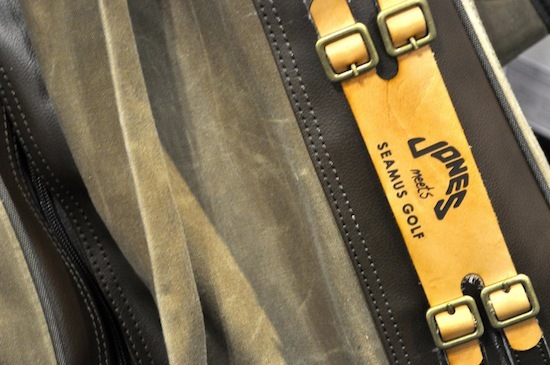 In case you haven’t heard yet, the crew from Seamus and Jones have recently done a design collaboration for a new take on the Original Jones bag. Since Seamus and Jones are both great companies, the collaboration has been something I’ve been looking forward to for quite some time. 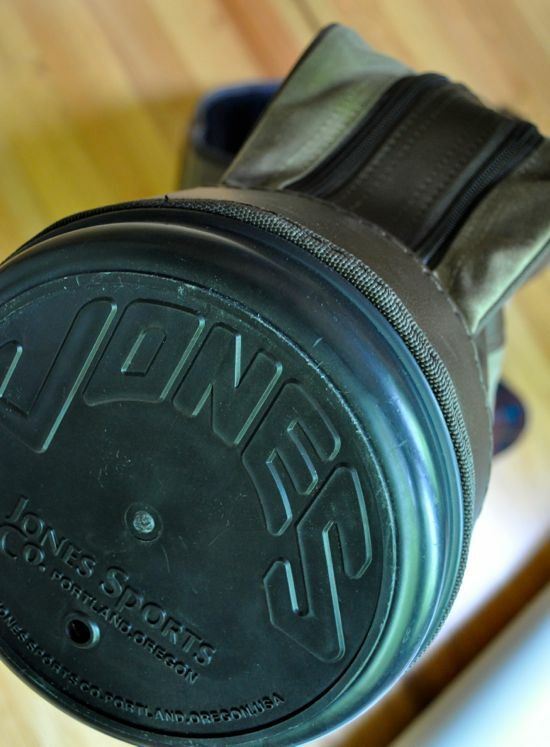 The bag structure is almost identical to the Original Jones bag with some additional throwback styling thrown in. The most noticeable difference are in the materials and hardware used that leads to a solid all-around old-school look. The material used for the bag is a durable (and still light) waxed canvas instead of the vinyl found on the Original Jones. 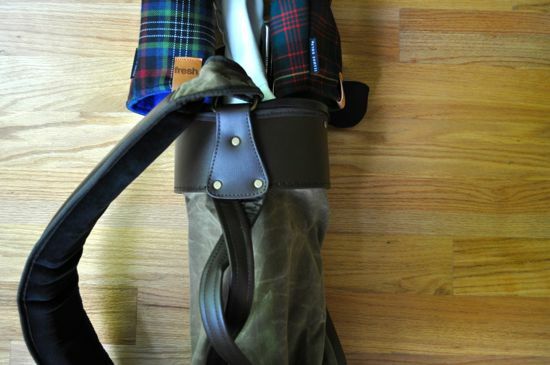 The Seamus Waxed Canvas bag also allows for customization through a leather and buckle attachment on the side bag. 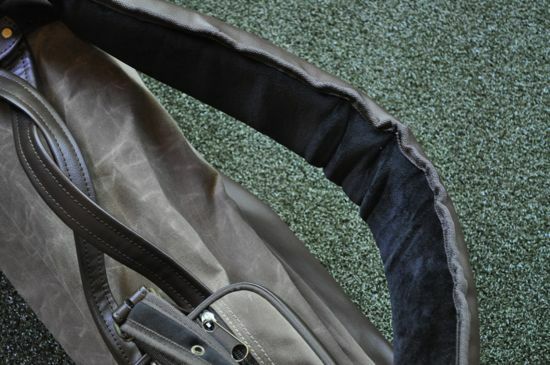 The pocket design, braided handle, and opening of the bag are all the same specs as the Original Jones bag. After seeing the initial prototypes of the bag at the PGA Show, I was extremely excited to get this bag out and into play. The bag generated quite a bit of buzz at the show and it was obvious that lots of golfers out there will be excited to pick one of these up. The opportunity for me to test out the Seamus bag came at the perfect time. The Jones/Seamus bag showed up a day before I was heading out West to spend a few days playing the courses at Bandon Dunes (after a quick stop by Chambers Bay). I can’t think of a more fitting environment to enjoy this new bag than at the mecca of golf for walking golfers. Needless to say, the bag was a perfect companion. 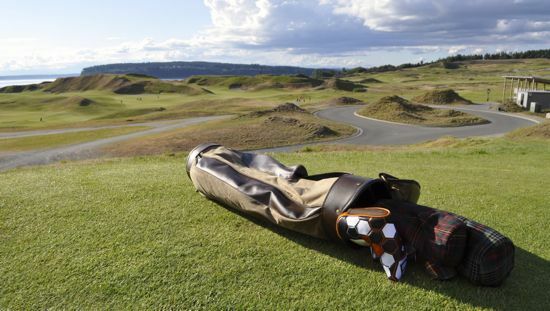 Through my three 36-hole days at Bandon, the Seamus bag was a pleasure to have with me. 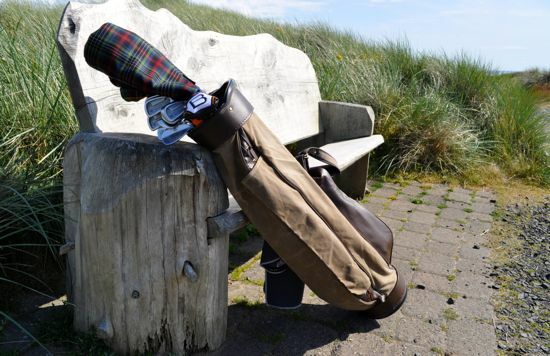 Although the majority of the golf at Bandon is played with caddies, I decided to carry my own bag. 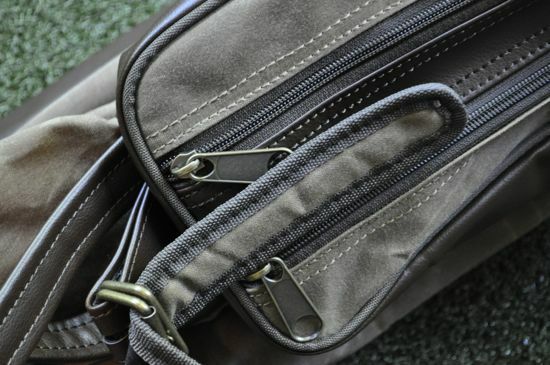 I really appreciated the versatility of the single strap as it proved extremely useful in varying the carry method. 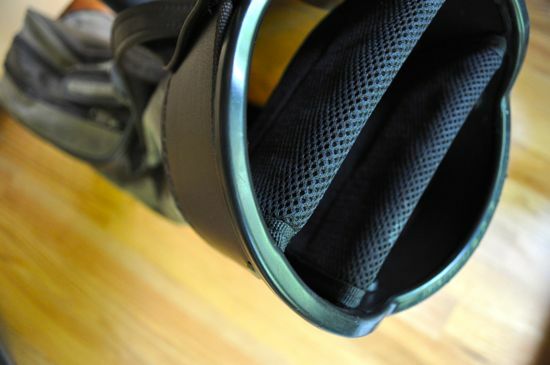 I would spend a few holes with the clubs facing forward, a few with them facing backwards, and alternated shoulders and various other configurations throughout the day. 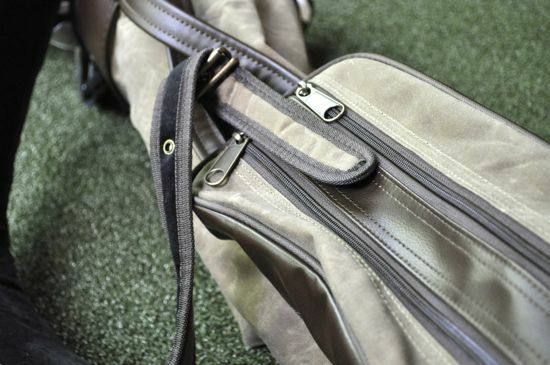 Given the upcoming British Open, it’s a fitting time for this bag to be unleashed. 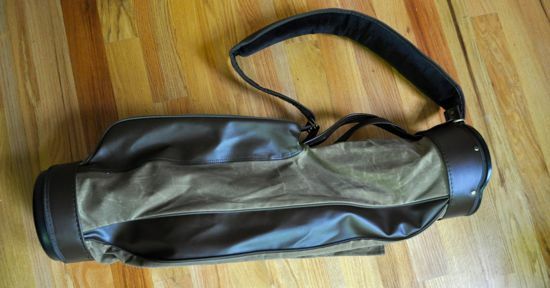 If you’re searching for a nice-looking and functional throwback bag, this is certainly one worth checking out. You can purchase the bag from the Jones website. 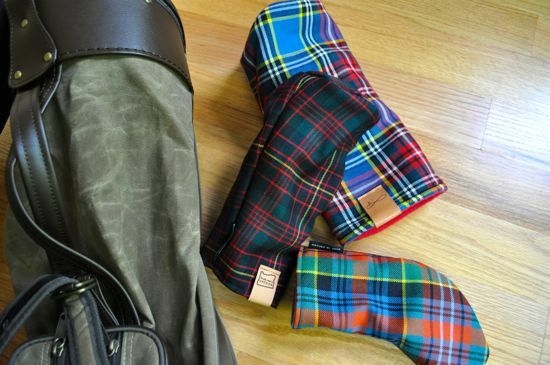 The combination of the Jones/Seamus bag and a variety of Seamus headcovers has become one of my favorite combos of the year and no doubt will be one of my go-to combos for many rounds to come. Not only is Seamus bringing back a respect for tradition, they’re also bringing back a much needed return to craftsmanship. Looking for more pictures? You’re in luck. 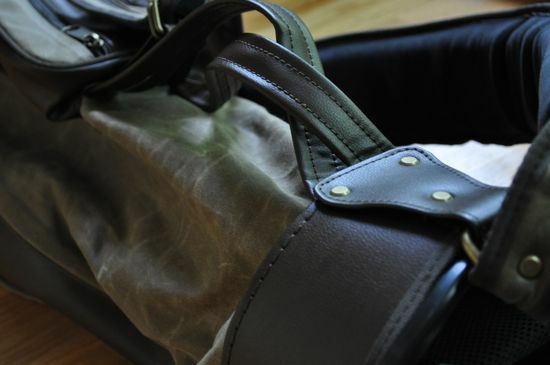 Check out more pics of this bag on our Facebook page. Looks like this model is not being offered anymore, unless you know otherwise. I would love to purchase one of these bags, it is awesome. 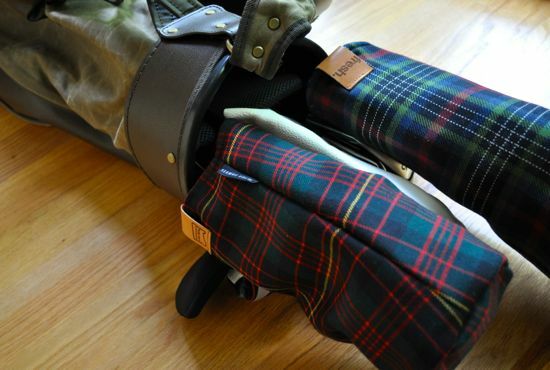 Anyone know where I can get one, would also purchase the head covers.